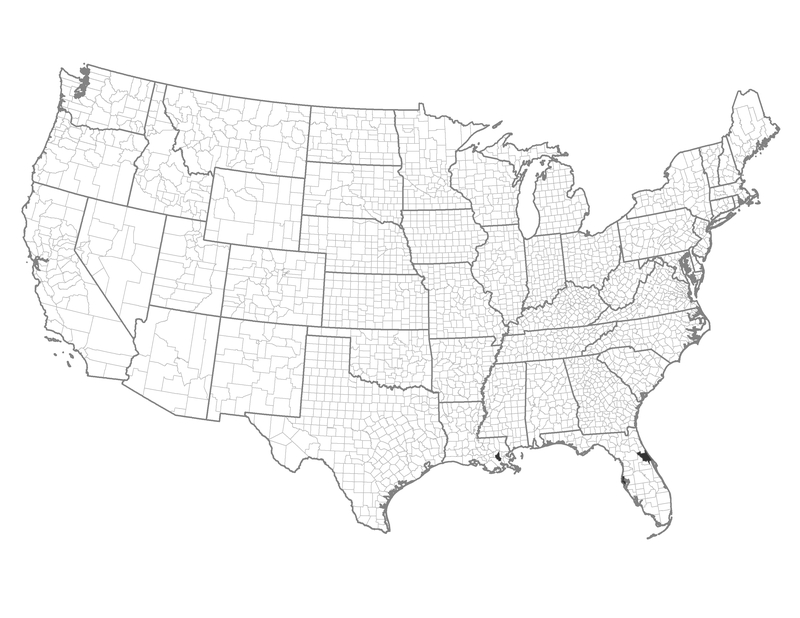 These urban counties have a dense, but clustered human population. Pinellas and Volusia Counties, Florida are home to the coastal cities of St. Petersburg and Daytona Beach, respectively. Similarly, the population of St. Charles Parish, Louisiana is largely confined to the banks of the Mississippi River. Each of these three member counties has a relatively high fire occurrence. Example of a Typical County — Volusia County, Florida: Volusia County includes Daytona Beach. Repeated large fires have occurred here. These counties have a history of using prescribed fire and could expand or maintain use of this fuel management option. These counties may have contiguous areas that could benefit from the use of landscape-scale prescribed fire. These counties could manage wildfires for multiple benefits in forested systems. Human caused ignitions are a problem in these counties. Reduce accidental human-caused ignitions through enforcement. Reduce human-caused incendiary ignitions by focusing on enforcement programs.